Kendall and Kylie Jenner are some of the biggest names in the world right now, reaching billions of followers daily across their multiple social media accounts. They have capitalized on their family's fame and their fashion line is wildly popular, selling tons of product even at designer prices. However, in their latest misstep, just months after Kendall's Pepsi ad scandal, the Jenner sisters are again in hot water after some tasteless t-shirts received wild backlash. In this blog, Hollywood Branded looks at the Jenner sisters' latest brand marketing slip-up and how brands can avoid this mistake when brand marketing goes wrong. Snapchat, one of the largest social media platforms, knows you have to evolve to stay relevant nowadays. This is why they are constantly changing and updating their app to involve new ways to share photos and videos, as well as incorporating brand marketing and original content from media companies like A&E. In their latest update, Snapchat has included a way to link to websites, giving brands a great way to direct traffic to their own websites - driving traffic like never before. 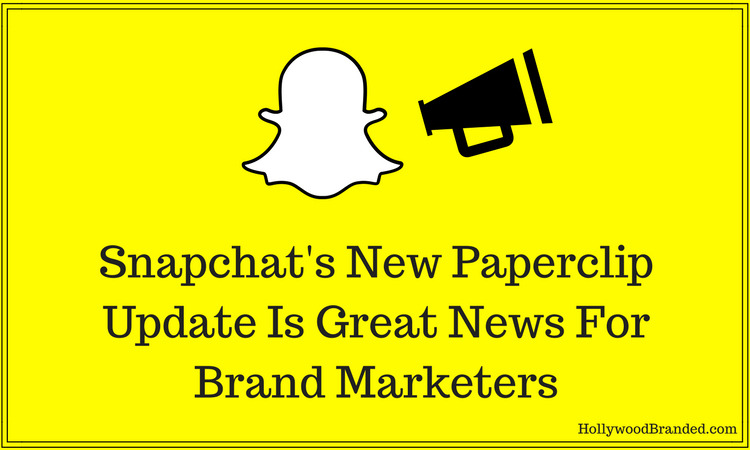 In this blog, Hollywood Branded looks at the latest Snapchat update and why it's great news for brand marketers. Nespresso has been working with George Clooney as their brand ambassador for over 10 years now, and somehow each ad gets better. And ever since Danny Devito shared the screen with Clooney last year in their hilarious spot, people have paid more attention than ever to the brand that managed to secure one of the most sought-after names in celebrity endorsements. And Nespresson hasn't stopped there - bringing on more recognized faces in their current ads - and expanding into the realm of movie licensing. In this blog, Hollywood Branded takes a look at Nespresso's latest celebrity endorsement ad starring George Clooney and classic Hollywood stars in iconic traveling scenes from the silver screen. Needless to say, the political climate in the United States and abroad has had its share of extremes in the last year. President Donald Trump has redefined the idea of the political celebrity, and many brands have hopped on board to tap into the changing and divisive political sphere. After the election, Tecate poked fun at the border wall and now, Smirnoff is having its fun with the Russia investigation. 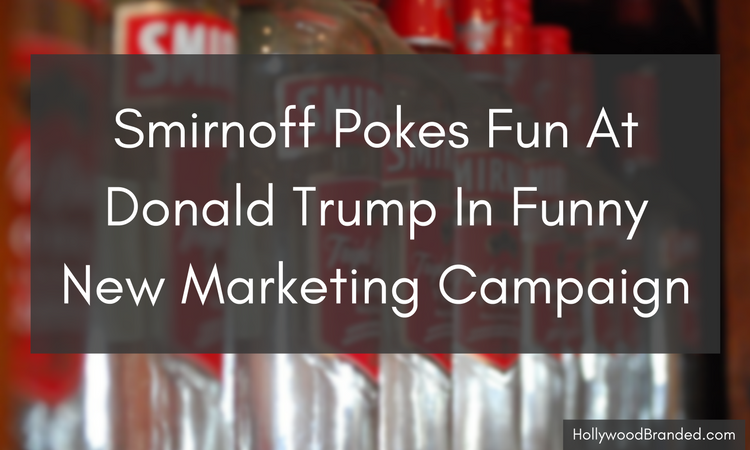 In this blog, Hollywood Branded takes a look at how Smirnoff is using Donald Trump's negative press to boost their own brand in their new marketing campaign. Lyft is one of those brands that just does marketing right. From swooping in on Kendall Jenner's celebrity endorsement after Uber blocked her to creating a fun way to get around South by Southwest, the ride-sharing company knows how to draw attention. Their latest endeavor sees the carpool company teaming up with the middle Jonas brother and his new band DNCE to give unsuspecting people rides around Los Angeles. 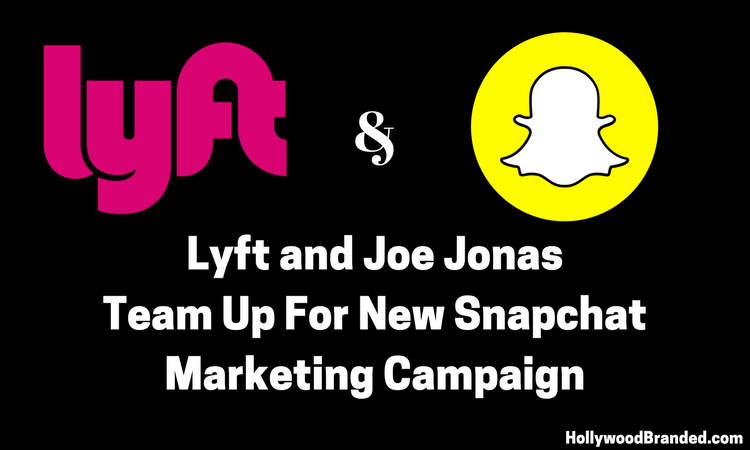 In this blog, Hollywood Branded looks at Lyft's new Snapchat marketing campaign featuring Joe Jonas and his band and how the future of marketing is changing.